So what the heck is monday.com? You&apos;re probably see a bunch of promotions for it. Every project management tool seeks to do the same instrumental thing: keep teams connected, on task and on deadline to get major initiatives done. But the market is getting pretty crowded, and for good reason — no platform seems to have gotten the right feel for what people need to see, and how that information should be displayed so that it’s both actionable/relevant, and contextualized. That’s why monday.com is worth a shot. The platform is based off a simple, but powerful idea: that as humans, we like to feel like we’re contributing to part of a greater/effort good — an idea that sometimes gets lost in the shuffle as we focus on the details of getting stuff done. So projects are put onto a task board (think of it like a digital whiteboard), where everyone can have the same level of visibility into anyone else who’s contributing set of tasks. That transparency breaks down the silos between teams that cause communication errors and costly project mistakes — and it’s a beautiful, simple way to connect people to the processes that drive forward big business initiatives. The platform also supports uploads, so documents and videos can be added to facilitate more collaboration, and integration with other productivity apps. So if your team is already using tools like Slack, Google Calendar, Dropbox, Microsoft Excel, Trello, and Jira, there’s specific, clean shortcuts to integrate the information from those platforms into monday.com. 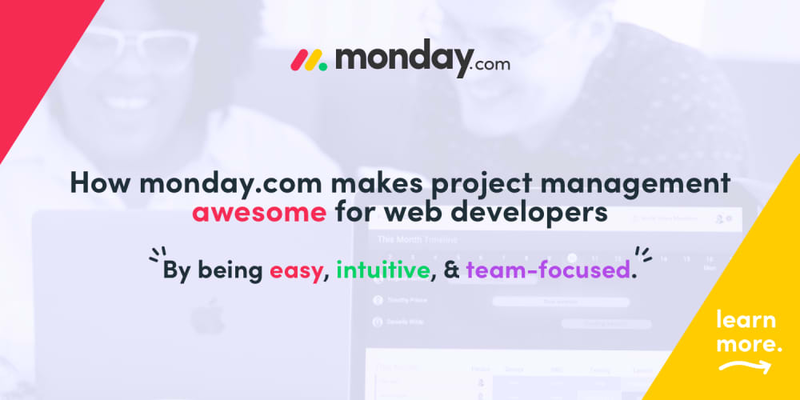 And even beyond team communication and management, you can use monday.com for client-facing exchanges, so all your messages are consolidated into a single place.